Leaving the D.C. suburbs for Chicago at age 21, Adam Vavrick became acquainted with Chicago’s then-fledgling craft beer luminaries while exploring rare beers at Rogers Park Fine Wine & Spirits. After gradually mastering various home-brew recipes, Chicagoland beverage institution Sam’s Wine & Spirits in Highland Park sampled his homemade double IPA and hired him on the spot. Promoted to Beer Manager of the flagship Lincoln Park location, Vavrick kept his role when Binny's Beverage Depot acquired Sam's in 2009. At Binny’s, he forged a new path for beer retail with innovative programming, such as in-store beer and music pairings. He spearheaded the now-international phenomenon of the Black Friday beer release, which kicked-off in 2010 with Goose Island's Bourbon County Rare. After five years of steadily increasing beer sales by the millions at Binny’s, Vavrick accepted a second-in-command position at Wisconsin-based Octopi Brewing. Here he ran the upstart brewery’s marketing and distribution while writing beer recipes for contracted clients. 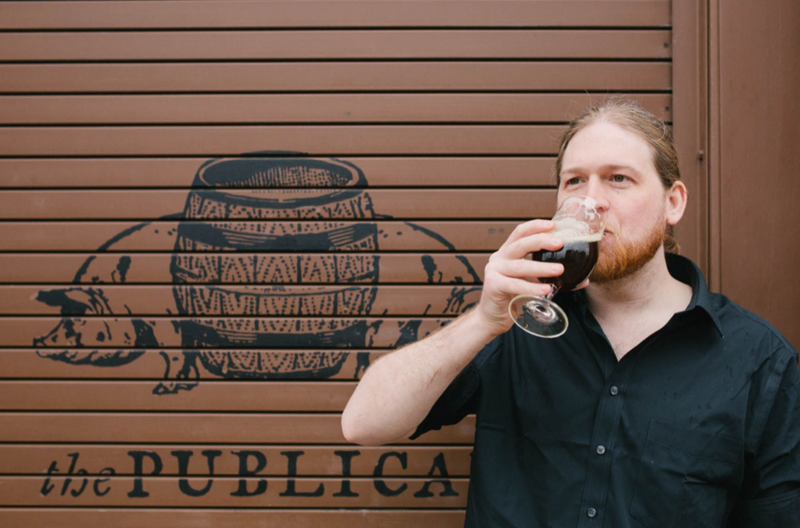 Upon hearing of The Publican's hunt for a new beer director, Vavrick connected with One Off Hospitality Partners Donnie Madia (James Beard Award for “Outstanding Restaurateur”) and Chef Paul Kahan (James Beard Award for “Outstanding Chef, Great Lakes”). He was named Beer Director for the entire Publican brand (The Publican, Publican Anker, Publican Tavern, Publican Quality Meats, Publican Quality Bread) and a consultant to One Off Hospitality’s sister concepts. In tandem with his staff’s beer expertise, Vavrick is constantly developing the storied variety of both classic, European and rare beers found at The Publican. He’s created a traditional English cask beer program at Wicker Park’s Publican Anker, and specially curated a thoughtful Chicago craft beer showcase at Publican Tavern for travelers making their way through O’Hare airport. His commentary has been featured in publications including Esquire and The New York Times, often as a vocal proponent of gender equality in the beer industry.